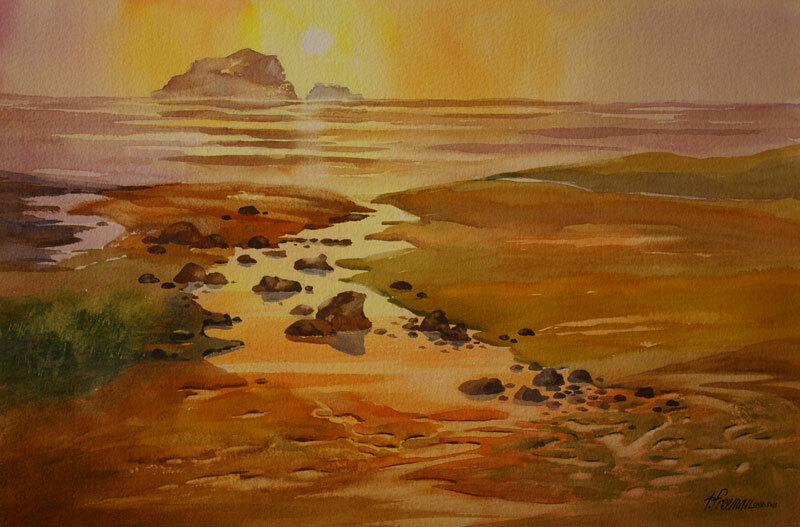 Thomas Freeman Original Watercolor Painting: "A World Away"
Little rivulets of water lead your eye to the ocean and to the rock forms way out. This peaceful scene is a “World Away,” from your everyday life. From a sketch of the Pacific shoreline.